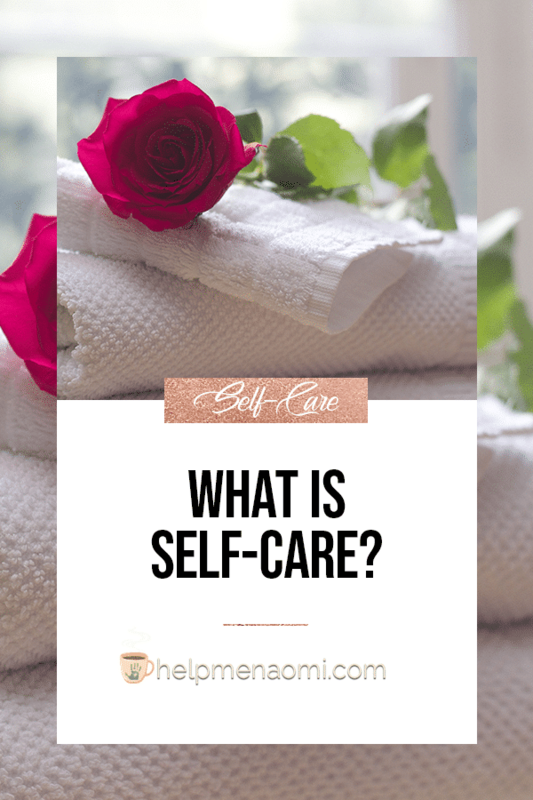 People ask me all the time: what is self-care? or what are the benefits of self-care? Put simply, self-care is the act of taking care of yourself. It is doing exactly what you need to do to feel your best all around. This includes mentally, physically, and emotionally. Each person has their own way to give themselves self-care. This can be anything from quitting your exhausting job, to getting your hair done, or ensuring you have time to read each evening before bed. Sometimes, external circumstances may dictate that your self-care routine needs to change (such as when you’re taking on the NaNoWriMo writing challenge). But most of the time, you’ll know what you need. Note what I said…each person has their own way to give themselves self-care. Even as I write this, I am sitting in a hospital room the day after a major surgery. I tried hanging out on Facebook, but every time I liked a photo or commented on a post in a group, someone would yell at me to go to bed. Every time I sent a message to someone to follow up on something, someone yelled at me to go rest. What they didn’t realize was that checking on those things is self-care for me. Sitting alone in a hospital bed (especially when they won’t let my kids come to visit me) is causing loads of anxiety. Checking into work distracts me from that. And right now, that’s what I need — a distraction. Hence, the new blog post. Taking care of yourself should never be overlooked. Believe me, I know all too well how easy it can be to sit down at the computer and lose the entire day before you even have a chance to eat. Putting together a strong self-care routine will be your best defense against burnout. Not only that, but if you fail to take care of yourself, eventually it can lead to overwhelming stress, lack of confidence, less productivity at work, and even cause deterioration in your relationships with family and friends. What are the things you need to do to feel complete? What activities help you relieve mild stress? What activities help you relieve moderate or high stress? Is there anything you can eliminate from your daily schedule that is preventing you from taking care of yourself? Can you identify the source of your stress? and are you eating healthy? Your answers to these questions will determine your self-care needs. Once you have defined those needs, all you’ll need to do is to add it to your schedule and do them to reap the benefits. And the benefits of self-care are substantial. Let’s look at a few of the amazing benefits you’ll experience over time. • Increased Positivity – Adding self-care activities to your daily or weekly schedule will give you something to look forward to. That bath you want to take every Saturday night? That book you started reading on Friday mornings? Instead of thinking about how bad your day is, you’ll be able to look forward to something more positive that you enjoy doing. • Increased Self-Confidence – Adding in self-care activities to your routines will move your needs closer to the top of your list. Self-confidence will naturally increase because you are simply doing the things that make you feel good. And because you’ve made those things a higher priority. • Improved Immunity – Self-care allows you to give your body a break from stress, anxiety, and emotional trauma — all of which can have a detrimental effect on your immunity. Without proper self-care and stress relief, stress and depression can overload both your mind and your body. • Better Relationships – The more your needs are met, the better your relationships will be with other people. After all, it’s nearly impossible to take good care of someone else if you aren’t taking care of yourself. • Higher Productivity – When you feel better, you work better. And when you work better, you feel better. It’s an upward spiral. All these benefits culminate in increased productivity in work and in the home. Less stress, higher immunity, and higher self-confidence all help to boost productivity. Remember, self-care is all about you as an individual. Define your needs, clarify what will take care of those needs, add those activities into your routine, and you’ll start to see a significant change in your well-being in no time. No one can determine your needs but you. Whether your self-care routine will include writing a blog from a hospital bed, or taking a long, leisurely nap in the middle of the day. What are some of your favorite activities included in your self-care routine? I like to lay in the dark and scroll Facebook until I fall asleep….without having to worry about anything else. It’s just super mind numbingly relaxing. I agree it’s different for everyone! !